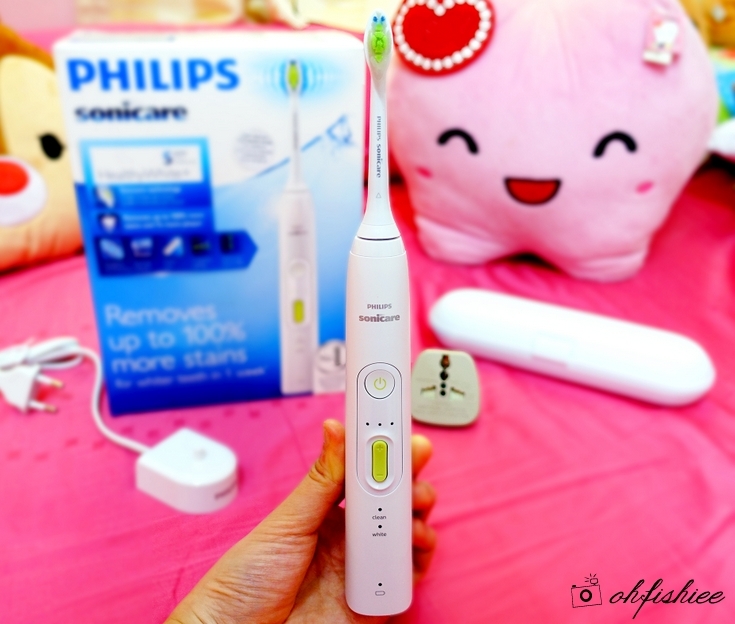 I have tried many types of electronic toothbrushes, but none of them is similar to my latest Philips Sonicare HealthyWhite+ 5 Series Sonic Toothbrush. 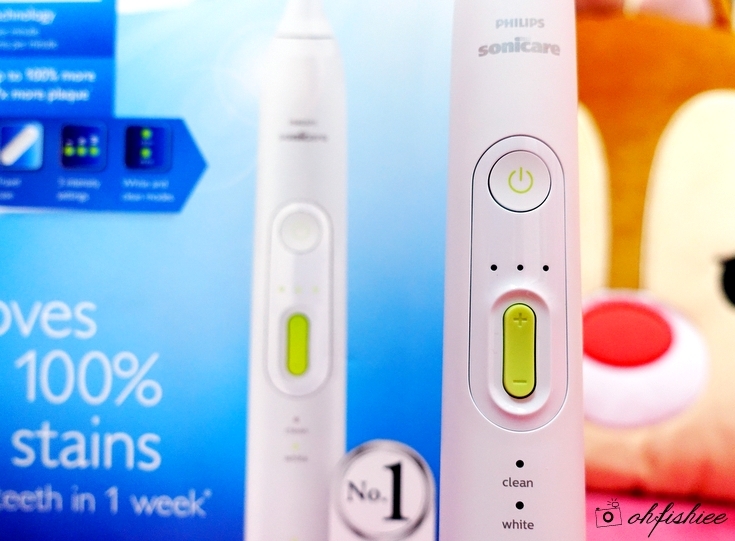 Philips Sonicare is not the ordinary toothbrush that merely vibrates when you press the “On” button. 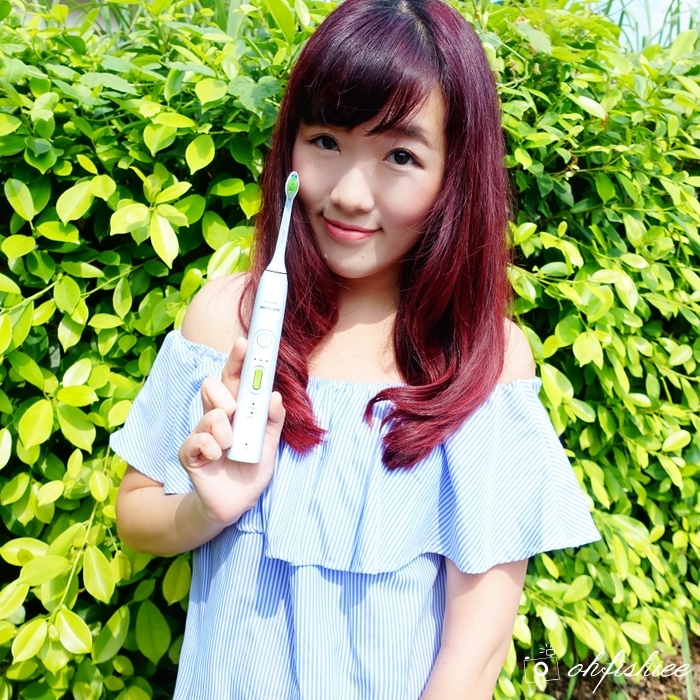 It is my first high-end electronic toothbrush with multiple features for better oral hygiene and overall health. You know how you brush a particular spot of your teeth using a conventional toothbrush and yet feel that it is not completely clean yet? Well, this will never happen when using Sonicare! 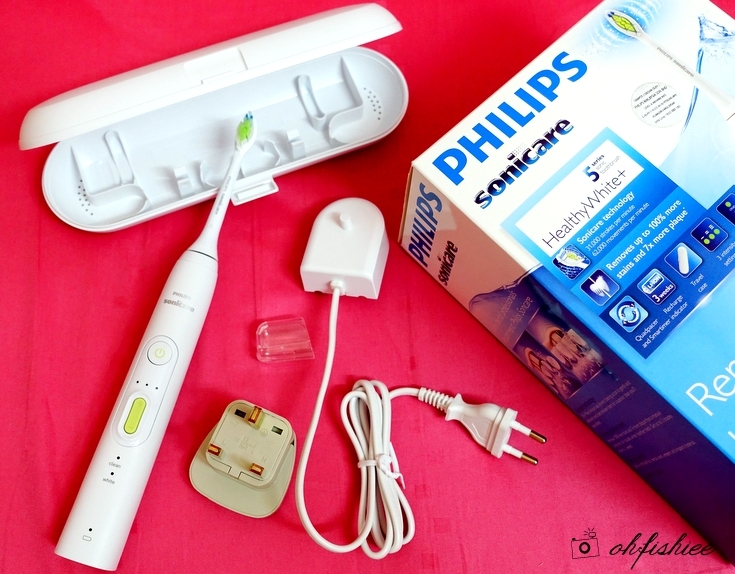 Philips Sonicare electric toothbrush comes in several types, for both adult and children. 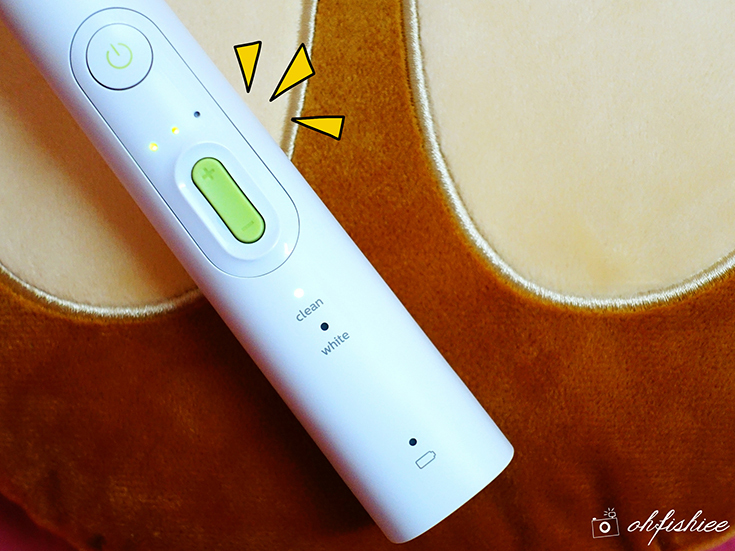 And this HealthyWhite+ toothbrush has 2 modes and 6 customizable settings to achieve the ideal oral hygiene. The brush head is rather small for some people, but I find that this size is just nice to reach the stubborn corners and inner surfaces. Plus, I don't need to brush it hard. Gentle pressure is the best to maximise its effectiveness and I just let the toothbrush do the brushing for me. So comfortable and no more bleeding gums! So....what's so special about Philips Sonicare? The brush head is detachable from the toothbrush, and ideally be replaced every 3 months for optimal result. The teeth feel smooth and plaque-free, with no residue of food stuck within the gaps between the teeth. A good 3-5 years, depending on how well you maintain the toothbrush. 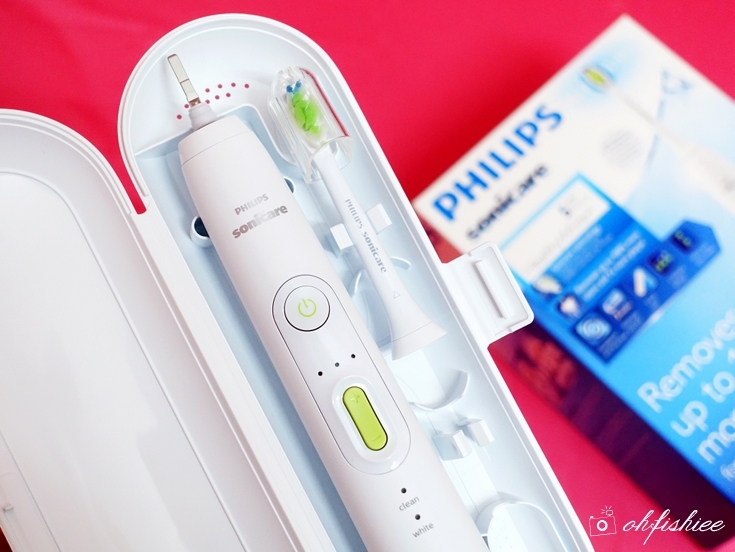 Philips Sonicare is suitable to use on braces and dental restorations (fillings, crowns, etc). Which are the 2 modes? wheres White mode is specialized to brighten and polish your front teeth. What are Smart Timer and Quadpacer? And I can take my own sweet time to brush the head, as it will stop automatically after 2 minutes, thanks to the Smart Timer. It also has a special interval timer -- 30-second Quadpacer -- to remind you to brush the 4 areas of your mouth evenly and thoroughly for 30 seconds each, as recommended by the dentists. It has indicator lights for intensity levels (to control how strong the vibration of the toothbrush is) and a useful battery indicator light so it wouldn't run out of charge, and it does up to 31,000 brush strokes per minute. ❤ Useful battery indicator because I just can't live without it for a single day! ✘ Good stuff like Philips Sonicare does not come cheap. 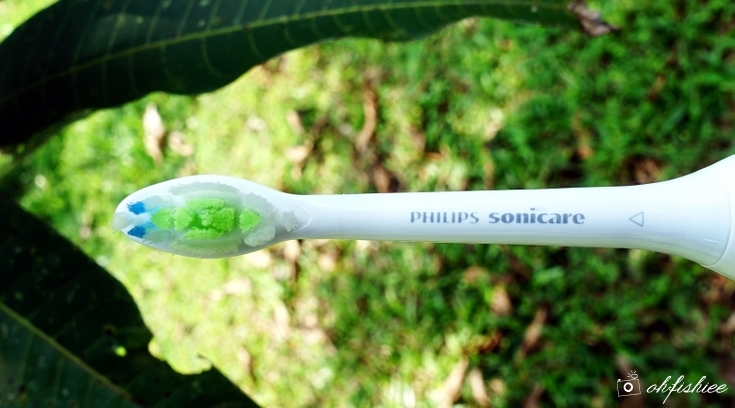 Philips Sonicare may seem a tad expensive for some, but I feel that it is definitely worth the investment for long term. If we don't start taking good care of our tooth from now on, 10 years down to road we'll probably regret. I was eagerly looking for the best electric toothbrush online, so my wife helped me to choose the right one at gethealthyteeth.com. 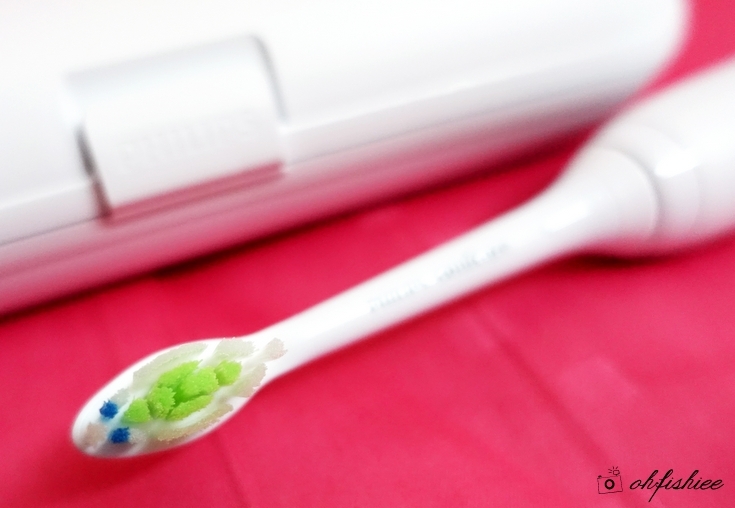 Now, both of us feel comfortable in using our new toothbrushes and feel refreshed every morning.